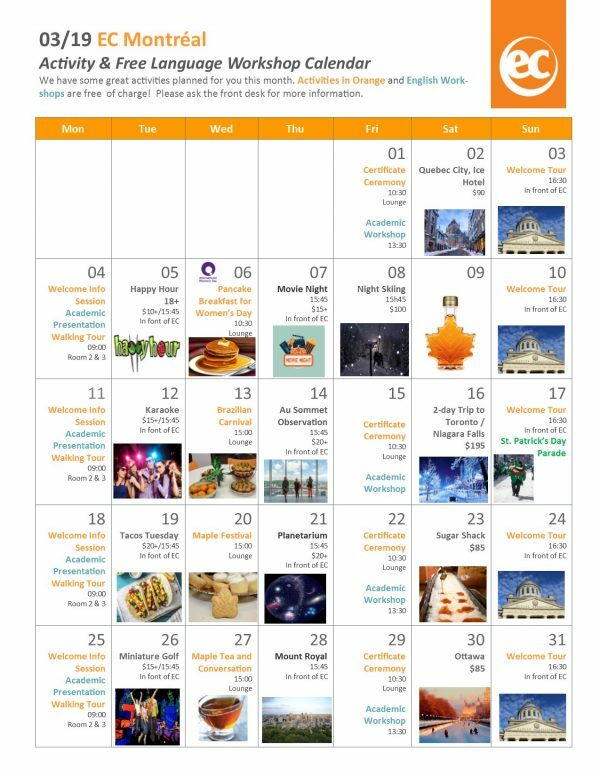 EC Montreal’s March Calendar of Events! EC Montreal is planning its March calendar of events and the best word to describe it is sweet! March is maple season in the province of Quebec, so our theme next month will be all about maple syrup. The complimentary activities will include a pancake breakfast on March 6 when we will also be celebrating International’s Women’s Day! On March 13, we will transform the student lounge into a Brazilian carnival, serving Brazilian tropical treats and listening to wonderful Brazilian music. The following week, we will hold our annual Maple Syrup Festival in the student lounge. We will have a wonderful array of maple treats for students to sample as well as facts about maple syrup. The province of Quebec produces 80% of the world’s maple syrup and many people are not aware of how maple syrup is made and all its health benefits. Iko tours will take our students to an actual Sugar Shack where maple syrup is made. Students will have a chance to visit a maple farm and enjoy a traditional quebecois meal. It is one of our most anticipated excursions of the year! On March 27th, the maple theme will continue with an afternoon of maple tea and conversation. We will serve this soothing beverage and chat with our students. The cultural outings next month will include a movie night, the Place Ville Marie Observatory, the planetarium and a hike up Mount-Royal. The weekend tours won’t disappoint either! Iko tours is offering trips to Quebec City, Toronto / Niagara Falls, a day at a Maple Farm Sugar Shack, Ottawa and a Night Ski trip. 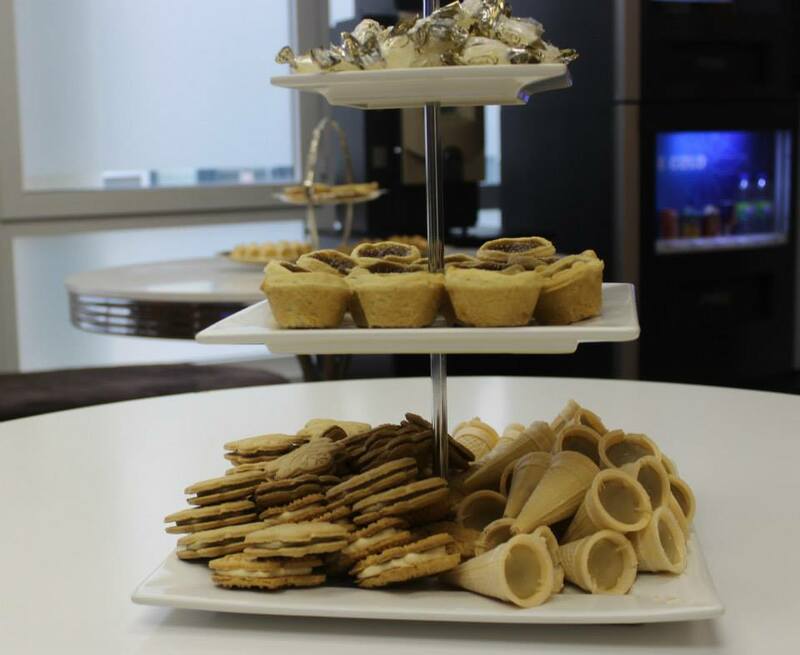 What a sweet and festive month we look forward to at EC Montreal! 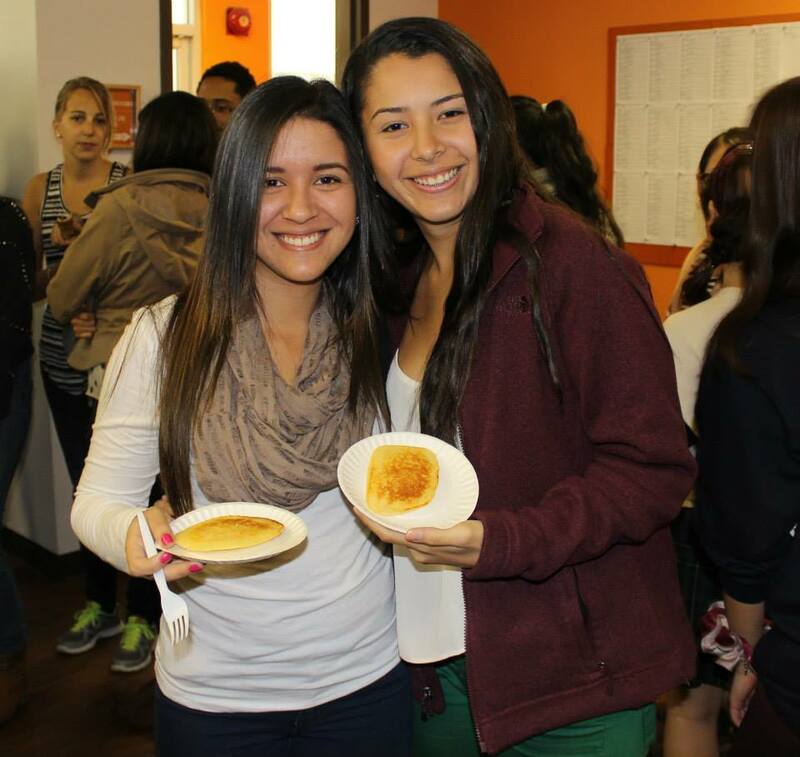 Join our ielts Montreal! First Friday Food Truck Festival Starts this Week!